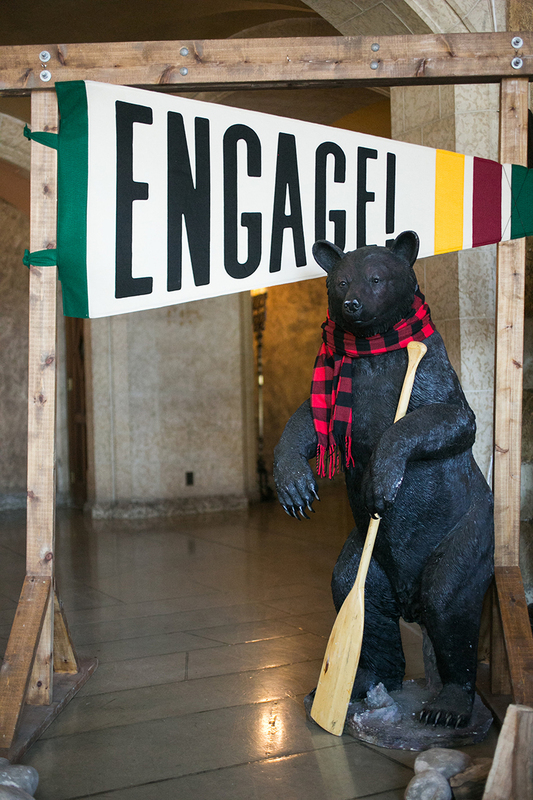 Recently some of my team and I traveled to beautiful Banff, Canada for the amazing Engage!18: Fairmont Banff Springs wedding industry summit. I have the incredible honor of speaking among my peers at this event each year and every time I come home more inspired than I could imagine. 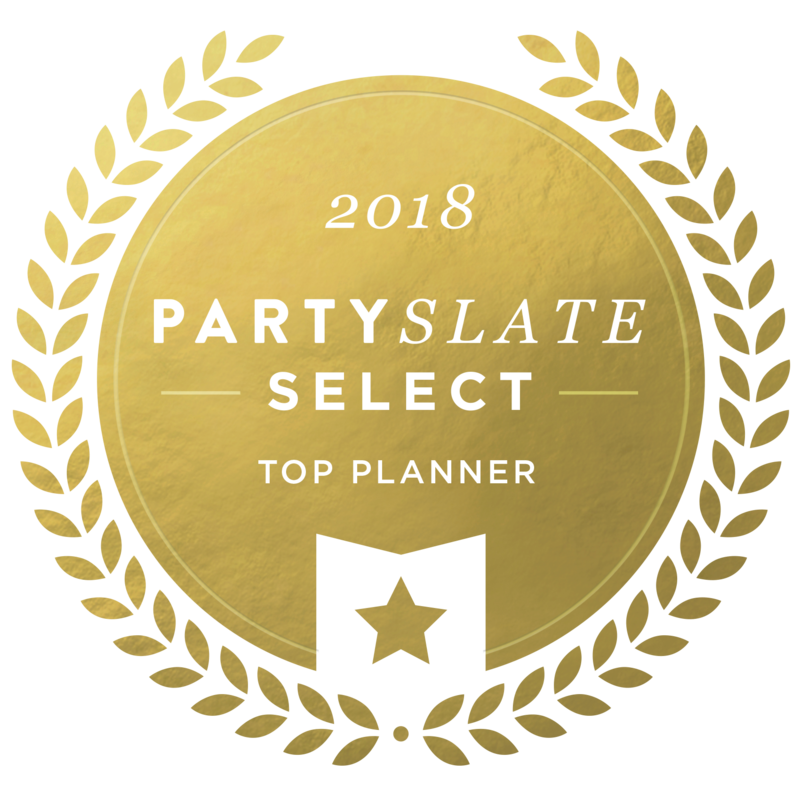 The most recent event took place in a part of the country that lends itself to camping, glamping and tons of summer camp wedding ideas and thus, many of the parties were themed accordingly. 1. Summer Camp Shaped Paper Goods: How about a menu, ceremony program or destination wedding welcome bag letter shaped like a canoe oar or other outdoor sporting good?! These beauties created by Two Paper Dolls Design House were picture perfect for the summer camp wedding theme. 2. 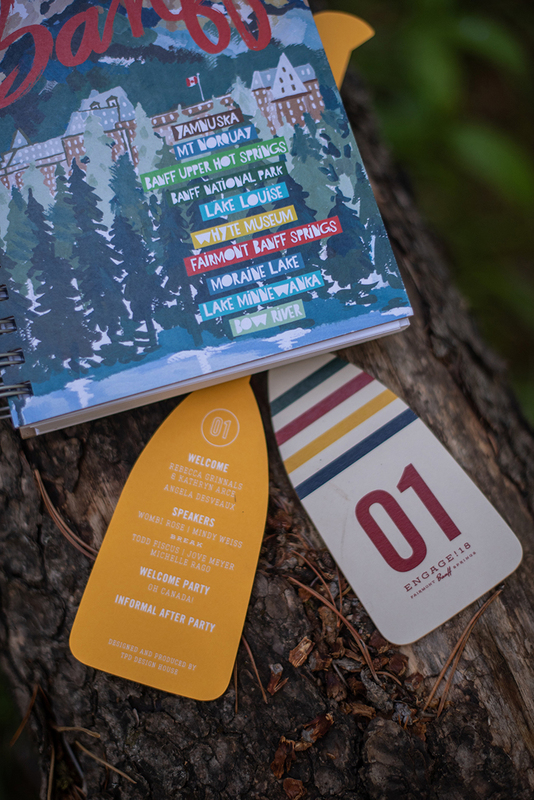 Camp Themed Welcome Bags: Give your guests goodies they can use while on vacation at your summer camp wedding and package up provisions and luxe toiletry essentials one would use at a swanky summer camp. At this party, bath products by Rocky Mountain Soap Co. were locally sourced, making the gifts that much more meaningful to the destination. It doesn’t have to cost a lot to have a big impact! 3. Games: Part of the fun of childhood (and summer camp) are the games you play with friends. Have fun during your cocktail hour or the days leading up to your big day with outdoor games. 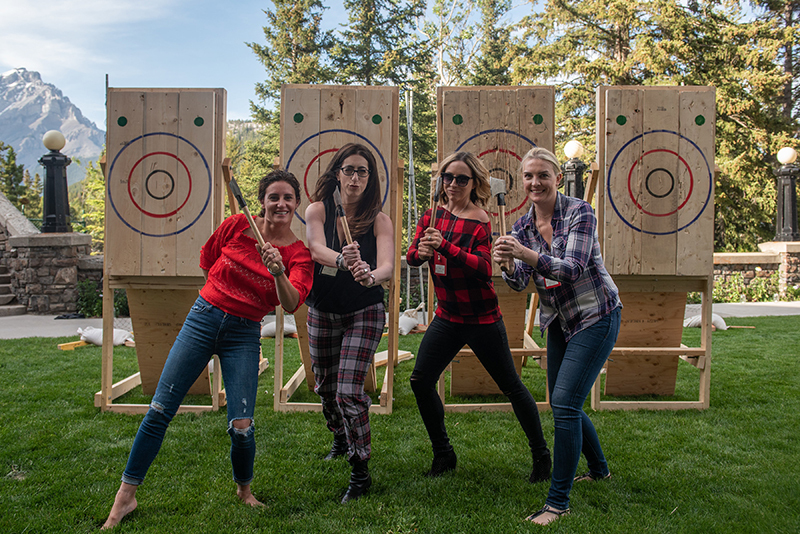 From axe throwing to giant Jenga or other kid and adult-friendly favorites, you’ll love the playful nature of a party with these activities. 4. Theme a Photo Booth: Instead of a traditional photo booth, stage a setting that feels like camp photos you’d send home and give your guests a backdrop to take photos you will all cherish after the event. 5. 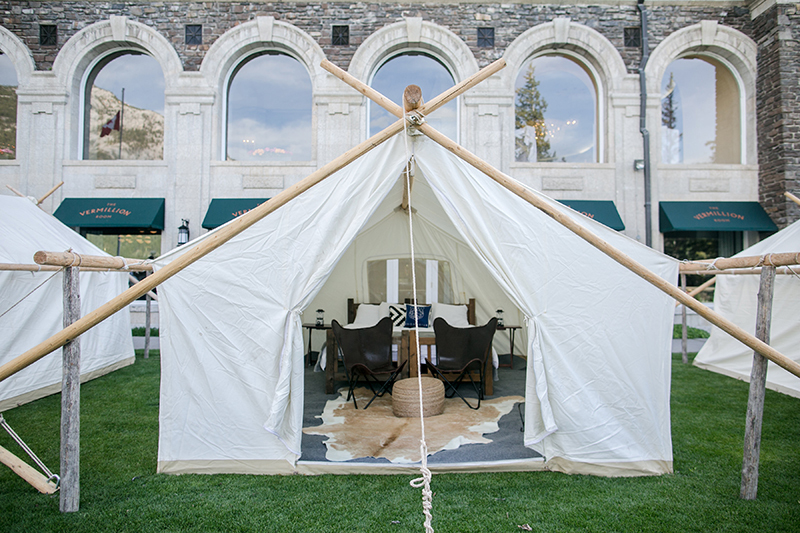 Tent Décor: One of the events was packed with designer tents for guests to chill out in before and after dinner. Stage your setting in ways that invite your guests to stay a while, get them comfortable and enjoy the event. Then, add a fire pit and a gourmet s’mores station and you’ve got a successful welcome party or summer camp themed rehearsal dinner! Images by Love Life Images and Carla Ten Eyck.